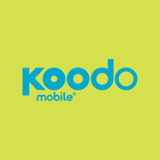 Koodo is the simple, fair and dependable mobile alternative. Why is Koodo the happier choice? Get the latest smartphones with the Tab, plus no long distance charges with our Canada-wide plans. We also run on Canada’s largest 4G LTE network. Prepare your happy dance.